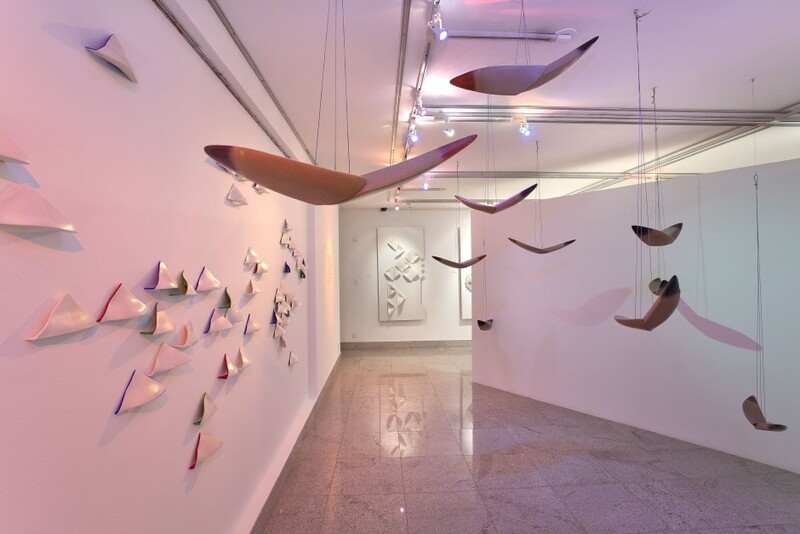 The creativity and innovation in Norma Grinberg´s pannels, and objects reflect in space a long period of art experience and aesthetic research. 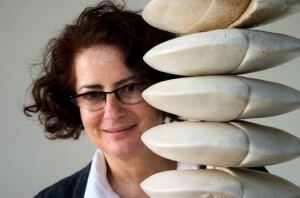 Norma stands out as one of the best artists in ceramic sculptures in Brazil. Her work – several times awarded in Brazil and overseas – highlight its original and contemporary qualities, all acknowledged by both the public and critics. Her aesthetic and artistic proposal is to update the language inspired in concretism, Bauhaus and Minimalism through the use of installations, update in Contemporary Art and developments such as interventions in the architectural space. A variety of materials is used, such as framed mortar, iron, aluminum, sand, acrylic, plastics and others. 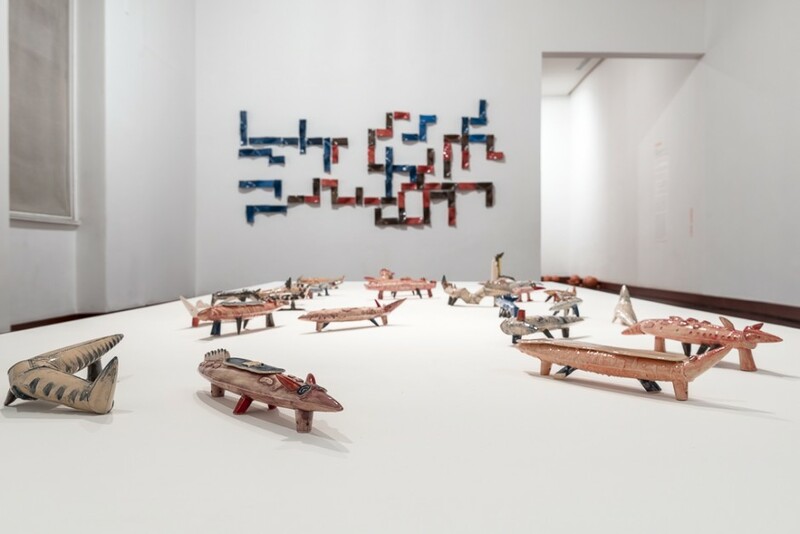 However, the ceramic is the very core of her art work, and it seeks the rescue of aesthetic and artistic potentialities, as well as subvert their limits. 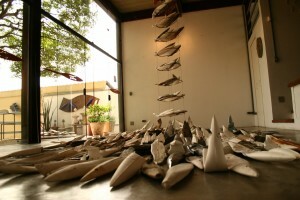 Norma combines art and technique to create installations, to produce huge sculptures, or just little forms of life, both indoors and outdoors. As examples there is the installation Humanoids as part of the monument Place with an Arch, in the gardens of the Escola de Comunicação e Arte at Universidade de São Paulo, as well as the “Cururus”, exposed in the Museu de Arte de São Paulo. Objects of Jewish inspiration are also part of her works. 2000 – Opening of the Studio Norma Grinberg. The artist´s studio is built as a aesthetic form and playful space with sculptures, installations and monuments for the inner rooms From some works, the ecleticism of materials and the research of forms, gain new routes. Works such as Chanukia in PVC and the Kasher Cow, were done for the Cow Parade Project, are examples of distinct experiences beyond other works. 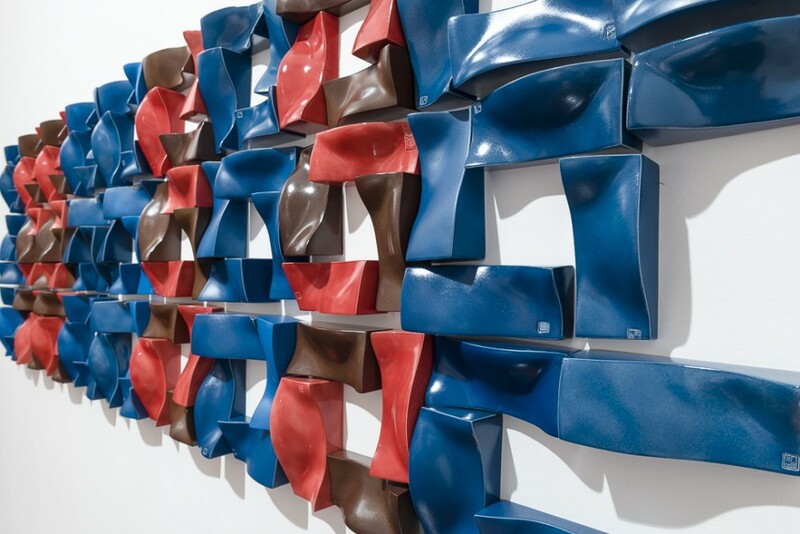 2004 – From some works, the ecleticism of materials and the research of forms, gain new routes. Works such as Chanukia in PVC and the Kasher Cow, were done for the Cow Parade Project, are examples of distinct experiences beyond other works. 2006 – Also in ceramics, forms gain new interventions and new relations with space. Installations as Free Flight explore the limits of two and three dimentional art. For Unstable Installation, the Ateliê leftovers are constituent elements of something new. 2008 – The artist is affected by the influence of the Brazilian Pantanal, of its unusual and vast fauna and flora. The singular animal life of this spectacular ecosystem turns into special forms in Norma´s hands, like the works that can be saw at FLICAM – FuLe International Ceramic Art Museums – at Fuping, China. 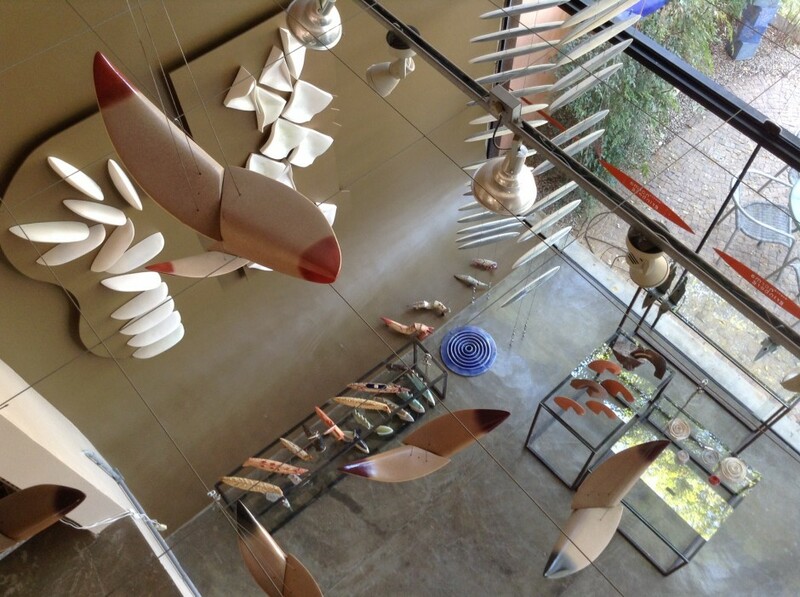 Norma created an installation plenty of colors from the nature, developing forms that blend species into each of her creature beings, combining the elements: air, water and earth. “In the studio the artist can totally express her concerns, from conceptual and artistic order, to practical and technical, by turning them into visual poetry. The closer it is to a place the artist evaluates as ideal for the execution of her work, the more the studio creates the necessary conditions for art to express itself completely, in depth, expand itself, break limits and open doors. The studio “per se” doesn´t make the art work. It can contribute, however, to maximize the conditions for excellent work. An art studio is also the author´s work, for it expresses in itself, inside and outside architecture and in the distribution of objects and equipment, personal reflections on the creative art process.